Lisa's ruminations...: Finally, a movie worth seeing! I went and saw this movie last Friday and I really enjoyed it. I find The Office pretty funny, but this wasn't office humor. DAN IN REAL LIFE was everyday moments in a big family. A family would like this movie as well as adults. I found it very refreshing to go to a movie that portrayed a family we all liked and, secretly, would like to be a part of, interacting with eachother and why they love and help eachother out. 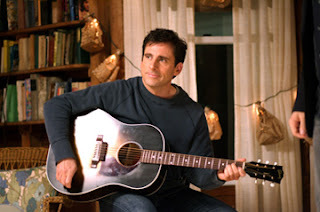 It had the humor, but was a side of Steve Carrell we don't usually see, and I also cried! When a movie can take you across the board of emotions, I think it's a keeper! hey lisa! love the blog. and i'm glad to know that you liked this movie. I wanted to see it, but I love steve carell to much for it to bad! thanks for the recommendation, we will plan on seeing it soon!